Just like Tenzing Norgay & Sir Edmund Hillary, Norgay Accountants aims to act as a financial mentor for entrepreneurs and independent professionals. Aided by modern-day technology, we will help and guide you in following up your financial strategy. We provide our customers the necessary support in both their private financial affairs and their business affairs, so that they are able to fully concentrate on their core activities. Each and every day, our experts ensure that our projects are handled correctly and efficiently. We offer a personalised approach for every specific problem. We are renowned as a strategic consultant for the growth phase of a business. Briefly put, we will guide you with your strategy and assist you in its implementation. The provision of a product or service starts by listening to our clients’ ambitions and learning their histories. This enables us to set to work proactively and offer precisely that little extra bit of service that sets us apart from other accountancy firms. Edmund Hillary and Tenzing Norgay were the first to reach the top of Mount Everest. Going where no man has ever gone before, they were willing to give it all they had, together. Norgay Accountants has its origins in the philosophy behind the success of these two pioneers: we aim to act as a financial mentor to entrepreneurs and independent professionals, for their private financial affairs as well as their business affairs. Enthusiastic, dynamic, ambitious – and always ready to contribute their input. Tom has extensive experience as a financial director and he is our expert in budgeting, reporting and financial analysis. In the evening he enjoys listening to music, which helps him completely unwind. is the father of Maxime, Oliver and Loïc. Els excels in direct taxation, mentoring start-ups, tax and strategic advice, and international tax issues. She enjoys fine dining in good company and has a barely concealable passion for fashion. 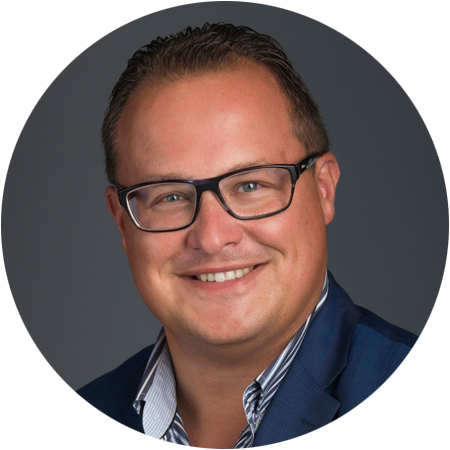 Jeroen is specialised in corporate tax, corporate law, strategic advice, family succession issues, and has a great deal of experience with nonprofit organisations. He starts every morning with a thirty-minute run and ends every day with a glass of good Italian wine. Our experts are at your disposal: to guide you on your journey as an entrepreneur.